Yacht weddings offer a unique and imaginative alternative to your wedding. Once aboard your own private yacht guests enter a world that is usually reserved for the rich and famous. Luxury surrounds you as you embark on a romantic voyage of wedding bliss. 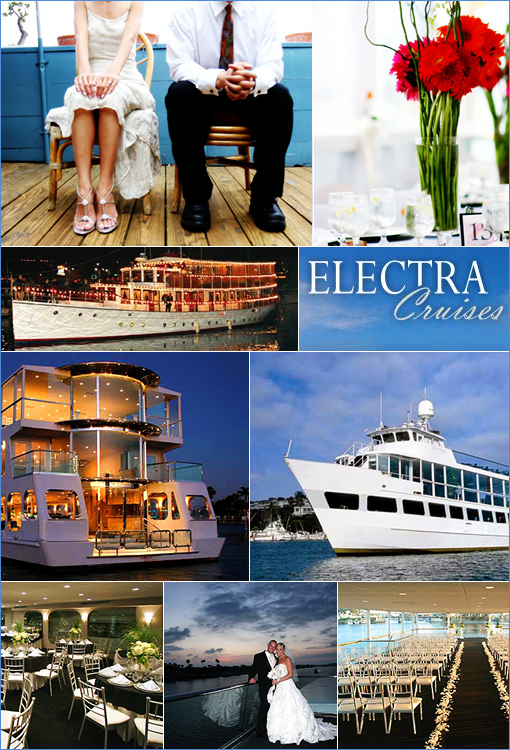 Electra Cruises start at $77 per a guest for a romantic wedding at sea. They will help you plan every detail from message in a bottle invites to a customized menu catered to you and your guests. A one stop stress free event that will be an event to be remembered.